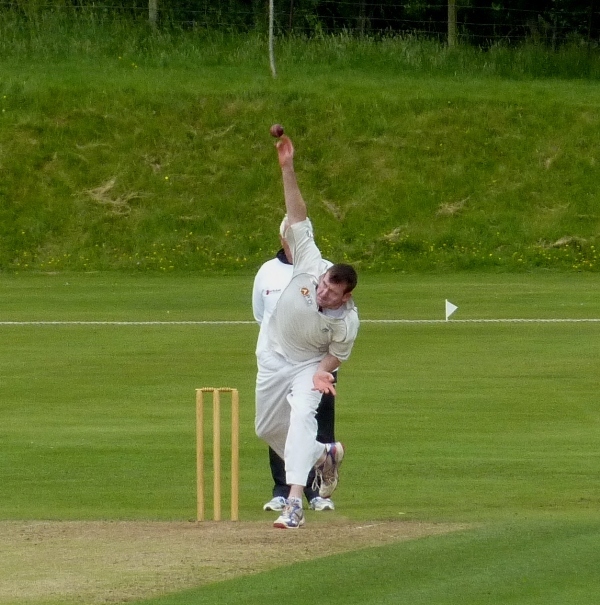 In the Western Premier League on Saturday it was a case of ball over bat at Nunholm as APD Dumfries beat West of Scotland to move past them into third spot. Dumfries could only muster a score of 73 on a day when the bowlers found plenty of swing combined with movement off the seam. However that proved enough, just, when after Niall Alexander took two early wickets, in-swing bowler Alan Davidson replaced him and aptly swung the match and the Roger Lever Photography Man of the Match award. He produced the leagues’ best bowling figures of the season by taking seven West of Scotland wickets for just nine runs in six devastating overs for a remarkable victory by just six runs. On Saturday the top four play each other in the matches which will decide which of the two sides level on points, Uddingston or Clydesdale, will claim the trophy from holders Dumfries. APD Dumfries play at marginal leaders Uddingston and West of Scotland play at second placed Clydesdale. It was an even closer win for Eco-Genics Nunholm at West of Scotland 2nds, Partick, at Hamilton Crescent in the CSL Premier Reserve League. 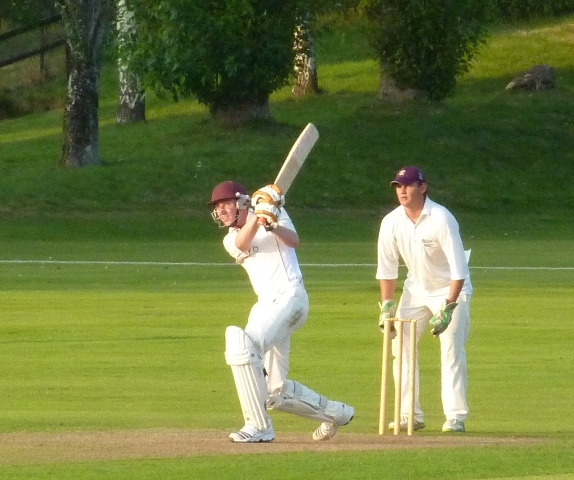 With runs also at a premium Nunholm scored 114 all out with Chris Brockwell top scoring with 24. Then the Solarae Man of the Match spinner Jerry Goodin took four wickets and Stuart Alexander and Brockwell two each with the winning catch taken off Brockwell to complete a four run win. On Saturday, Nunholm play Uddingston 2nds at home. The Sunday XI, Good Man Dumfries, won their friendly at Nunholm against Galloway by six wickets. Galloway amassed 239 for six with Vosloo top scoring with 70 and Conn hitting a fifty. However the RF Angus Man of the Match, Niall Alexander, was there at the finish, the top scorer with 90 not out. Peter Lojszczyk scored 58 opening and Marcus Richardson, with 52, shared the big match winning partnership with Alexander. For more information about the club at Nunholm, contact 07799 856094 or email dumfriescricketclub:gmail.com.